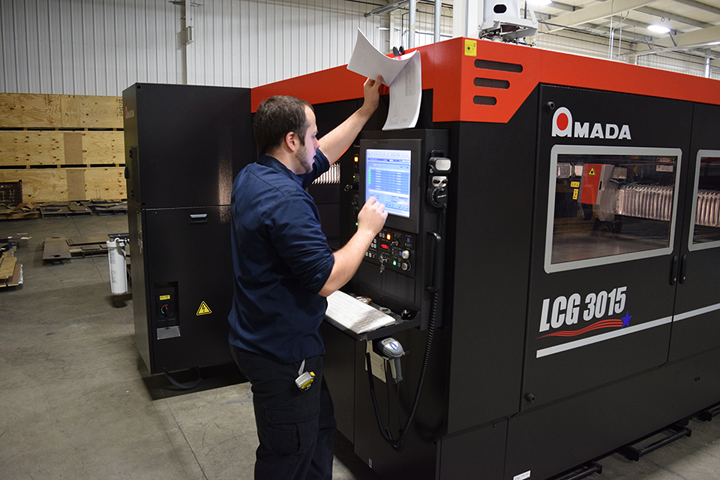 Laser Cutting – McElwain Industries Inc.
We have partnered with Amada to have the best all-around cost, cut quality, tightest tolerances, speed, consistency, accuracy and productivity. 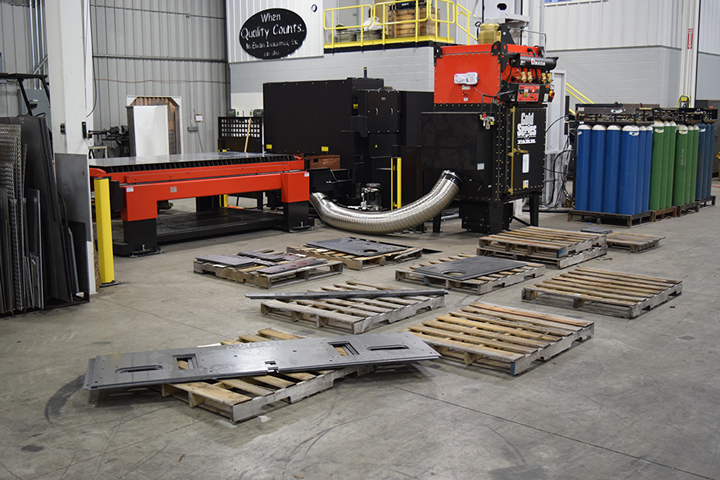 This ensures that we can provide our customers not only with great cut parts, but also cost competitive parts. Dual, 5ft x 10ft tables used. We can offload one table while the other is in cutting process. 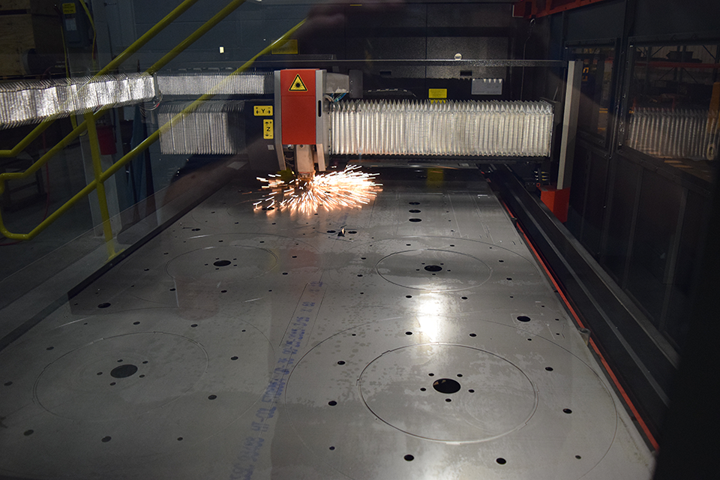 Mild steel cutting up to 3/4″ laser quality plate. Aluminum up to 3/8″ thick. Stainless Steel up to 1/2″ thick.